WATCH: Will Khan back a ‘people’s vote’ on Brexit? Today Labour’s Sadiq Khan refused to back the idea of a ‘people’s vote’ on the terms of Brexit. 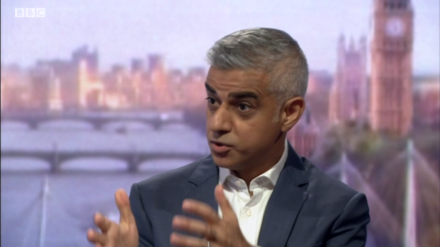 Asked by Marr whether he would support another referendum, Khan replied: “I may be unhappy with the result of the referendum, and I’m proud London voted to remain, but I accept the verdict. “Because what I’d like to see is the government do a good deal with the European Union. I’d like to see us be a member of a customs union, I’d like to see us be a member of a single market on a cast-iron guarantee for EU citizens but also as Brits who are in the European Union.